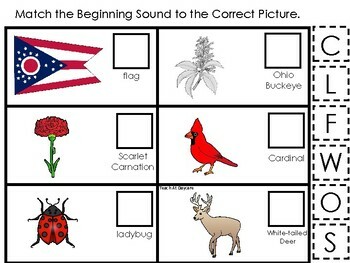 Ohio State Symbols themed Match the Beginning Sound Preschool Phonics Game. Ohio State Symbols themed Match the Beginning Sound Game. 1 game board and 6 game pieces.